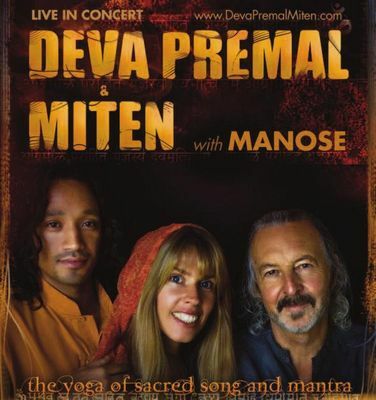 April 25, 2010 0 comments on "Deva Premal and Miten in concert"
Deva Premal and Miten’s inspiring blend of song, mantra and meditation have touched a worldwide audience. They have released a string of acclaimed CD’s with international sales of nearly one million, and their concerts and ecstatic chant workshops are met with rave reviews throughout Europe, Australia, South America, Canada and USA. Join us for this unbelieveable event. Your Full Name, Address, Postcode, Contact Telephone and Email, and the number of tickets required. Tickets will be sent out by post.